Interest and excitement for this, the fifth annual Las Vegas Night for Charity has been simply effervescent! Whether it’s because this year the event date falls on the 4th of July, or because attendees remember that it is a sold out event every year, Las Vegas Night for Charity is the major “buzz” throughout the community! Just as a reminder, the fun starts at 7:00 PM this Saturday inside the cool air conditioned environment of our beautiful Los Volcanes Ballroom on the second floor in the Sonoran Resorts luxury beachfront Sky Resort and Condominium on Sandy Beach. There will be shuttle service so we encourage you to park along the road to the resort and our volunteers will be escorting guests right to the elevators. We have many charity-minded volunteers from our sales staff and corporate office to handle ticket sales right at the door. 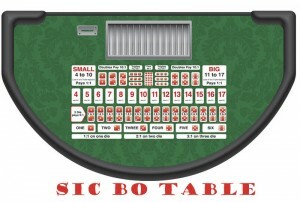 Your $35 US Dollar entry is worth $300 dollars in “Charity Chips” and one raffle ticket for the dozens and dozens of drawings held throughout the night. 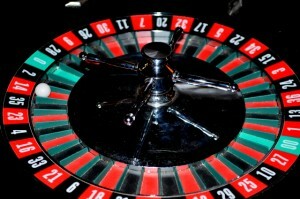 You can, and should purchase additional tickets for cash or chips anytime during the night. We say “should” because this year our volunteers and generous businesses, artisans and artists have broken the record for prize donations, nearly one hundred valuable prizes as of today and still coming in. We’ll tease you with a few of the prizes below. They will all be awarded in raffles and later in the auction. Wow! 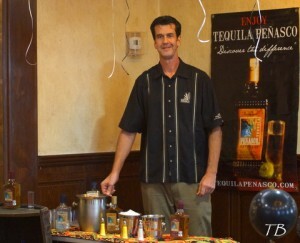 After getting your ticket at the door, just turn around and say “Hi” to Charlie Muratore of Tequila Peñasco. He’ll get your night started with a complimentary shot of one of his palette palpitating original tequilas! Now you’re ready to bring this casino to its knees! 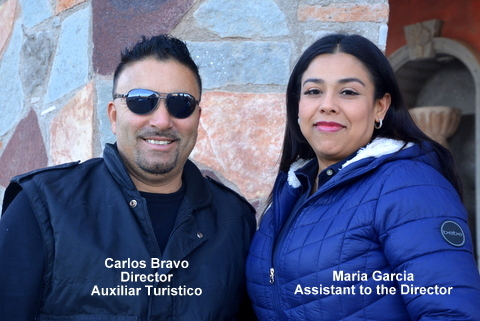 Oh, your ticket is good for dinner provided this year by local restaurateur Ramón Ramos of Mariachis and Tequila Restaurant in “5th Avenue” aka “Rodeo Drive” where the curio shops are located on the newly paved road to our Puerto Peñasco Expo Center. Ramón has a great buffet planned for 7:30 to 9:00. If you’re too busy breaking the bank and miss the buffet, no problemo, amigo. Ramón will be serving snacks and appetizers for the rest of the night! Ramón will have cash bars set up serving your favorite libations throughout the evening. Bonita, Laos Mar, Sonoran Sun and Sonoran Sky. 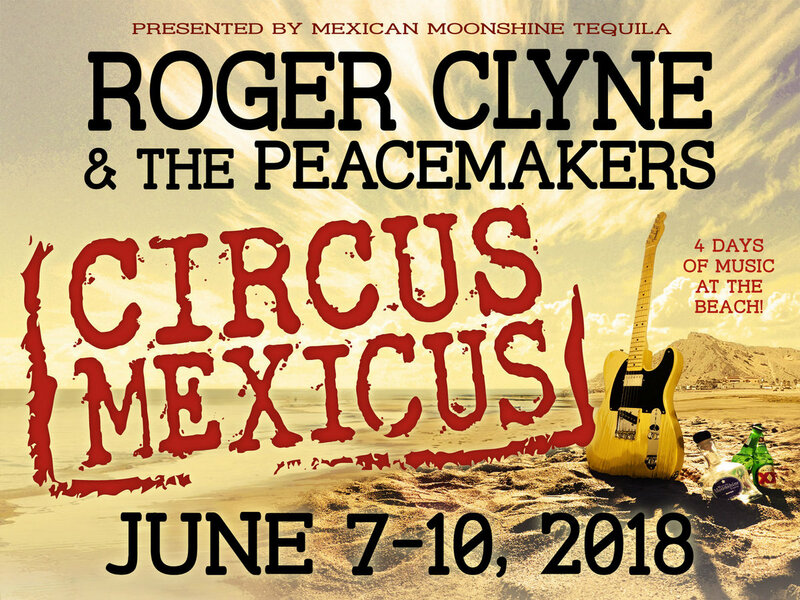 You can win a complete SCUBA certification class by Lea Parris, a fishing trip for six on the “About Time” fishing yacht, Two VIP tickets to the gala 4 day music festival, Circus Mexicus with Roger Clyne and the Peacemakers and the eight to 10 bands they bring along for the party in June. 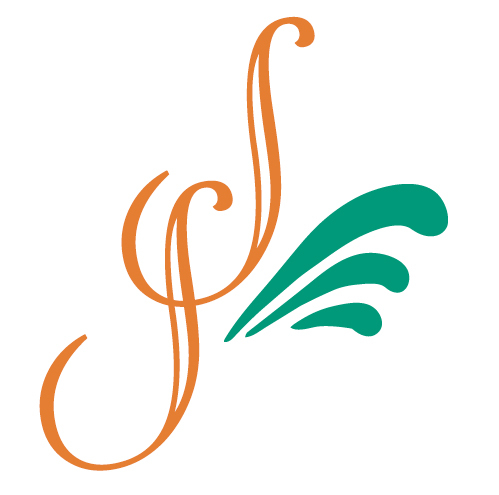 And there are many, many more: spa treatments, dinner, quad and jet ski rentals, sunset cruises, drinks, bottles of Tequila Peñasco, photography sessions, artwork, shuttle rides from Phoenix and more. Plus, we will be revealing some incredible surprise prizes for the auction at the end of the night where you’ll use your accumulated chips to bid. 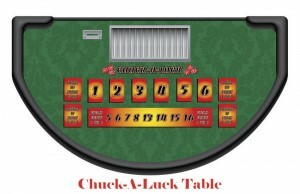 Once again this year we are lucky and grateful to have Randy Van Hulle, owner of Ace Casino Rentals of Tucson lending his expertise to our event. 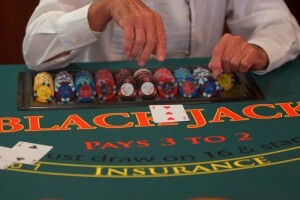 Through his company founded in 1987, Randy has over 3,000 corporate casino functions to his credit. 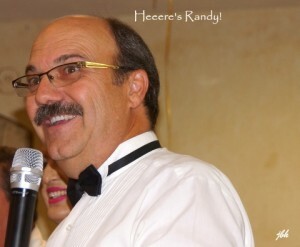 Randy and his wife Linda drive in from Tucson every year to give of their time and expertise for this charity event. 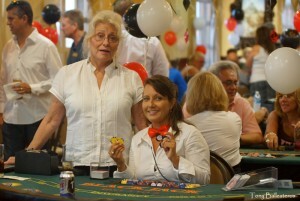 Linda volunteers as a dealer. 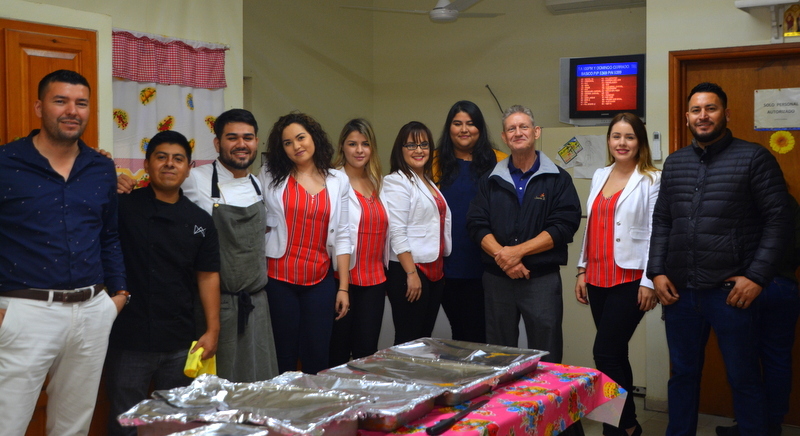 This event was the brainchild of our own leader, Jim Ringquist, Director of Sales and Marketing for the Sonoran Resorts Group, who wanted to help local charities. 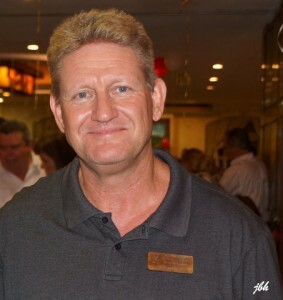 He starts putting this event together in January and you will see him working alongside Randy and Rosie, overseeing the food and beverage service, helping dealers, fetching prizes when needed and would probably wash dishes in the kitchen if the need arose, but he does such a great job of selecting the food service providers each year that he’ll never have to wash dishes! Be sure to tell all the volunteers how much you appreciate what they do for the community when you cross paths with them Saturday night. Thank you for that gesture! 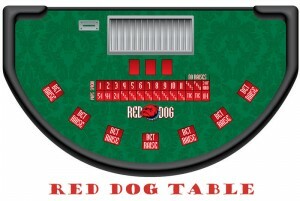 The casino games this year have been expanded to include three fun new games, Red Dog, Chuck-a-Luck and Sic-Bo in addition to our Blackjack tables, Roulette and possibly Texas Hold ‘em. Try them all! One of the ma in ingredients that make this night so much fun is the jovial camaraderie among everyone, invigorated by the smiling attitudes of all the volunteers who give their time and energy to serve as dealers, ticket distributors, chip counters and everything else to make your evening fun. By the way, if for some serious reason you are grounded in a foreign country that has TV, please note that this year out webmaster and video guru, Manny Sanchez, has created a neat way for you to tune in and see much of the night’s activities. 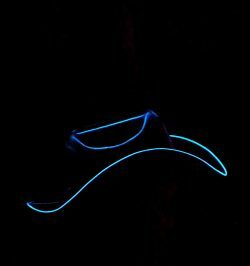 Just go to http://penas.co/lasvegasnight Saturday night. Won’t cost you a dime! But where else can you have so much fun for such a small cost and help so many deserving charities?